I do love winter. I love cold frosty days, snowy days, crisp sunny days. I love being able to wrap myself up in woolly warmth and I love being able to make those glorious woollies. An so the onset of those cold winter days also heralds the arrival of winter knit time. 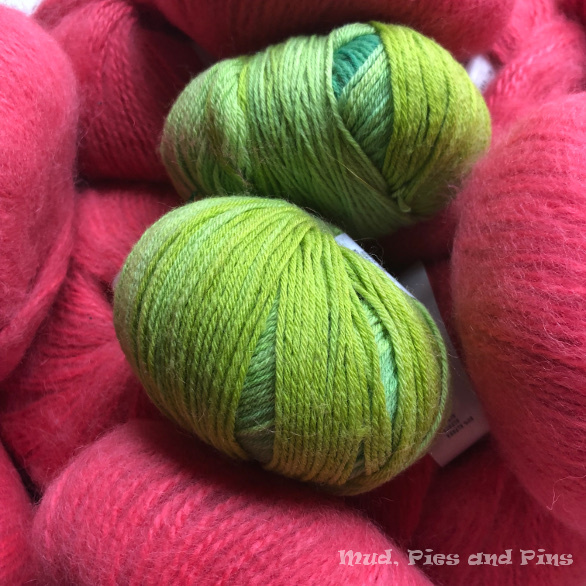 As I feel myself drawn more and more towards my knitting needles and my little stash of wool, I find it harder and harder to become enthused about sewing. 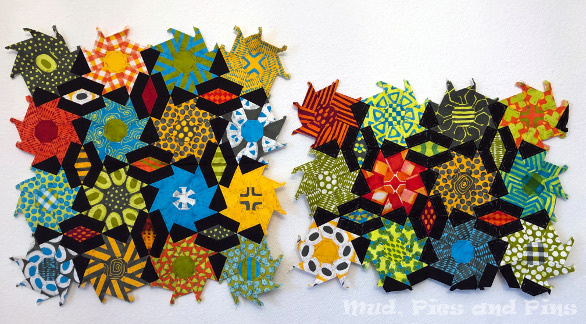 It’s strange, in a way, because winter is the idea time to focus on quilts and quilting. 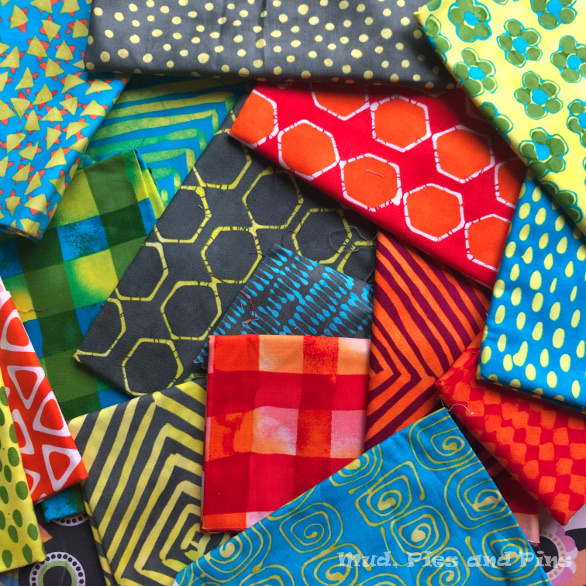 Winter’s cold should be the perfect incentive to convert the stack of quilt tops in my sewing room into snuggly warm quilts. However, for me it fires up my need to knit. My need to make hats, scarfs, cowls, blankets or anything else that takes my fancy. 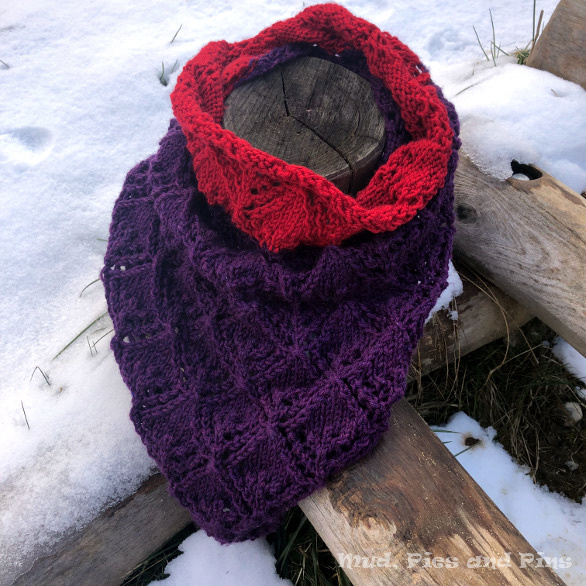 I have started the year churning out some new knits and finishing an old one. 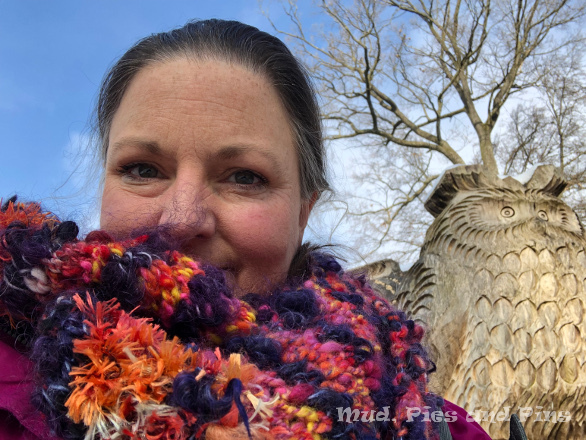 Having pulled some remnants from my stash, along with some skeins of hand spun yarn I had bought from Elefenwolle on etsy a few years ago, I made myself a couple of new neck scarfs and a cowl that will keep the cold nicely at bay. We have been able to spend a lot of our winter weekends up in the mountains. My evenings there have been spent working on a blanket I started three years ago, and I was finally able to sleep under it on the last night we were there. That blanket has accompanied me to the kids’ snow park as I watched them first learn to ski. It has travelled up and down mountains as I went meet the skiers for lunch. It has seen sunshine and snow galore, but it’s travelling days are over now and it shall live on my bed in the hills. As luck would have it I have yet more wool in my stash that I think would be perfect for a second blanket. 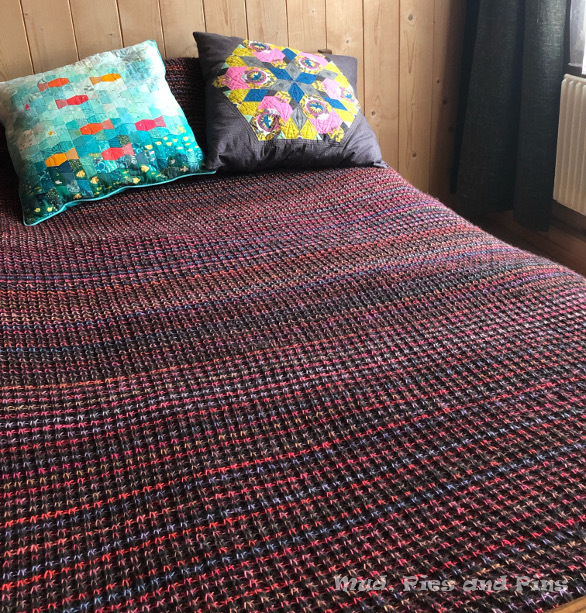 It soon shall travel to the hills and will undoubtedly spend some time travelling on trains and gondolis (cable cars), visiting mountain tops and mountain side restaurants as I knit my way through weekends away and holidays in the snow. The winter knit time has been quite productive this year but at the expense of my sewing. I am slowly getting back to the needles and thread now and have slowly starting to finish off a few projects that have been neglected for far too long. I have also pulled out others that had stalled so that I might feel inspired to revisit them. 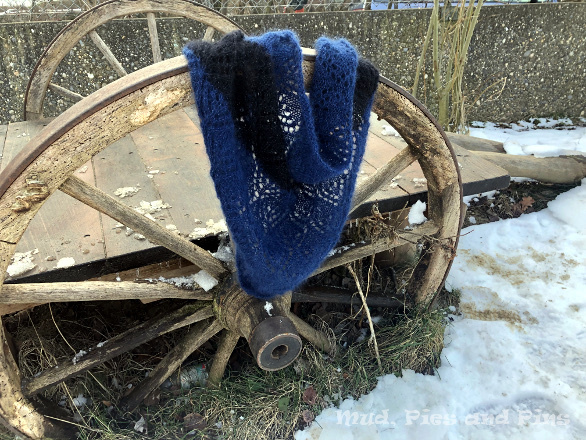 It’s still winter knit time and I feel that my sewjo is still in slow more, but little by little it is beginning to warm up and get going again and I look forward to sharing all that is to come as it does.